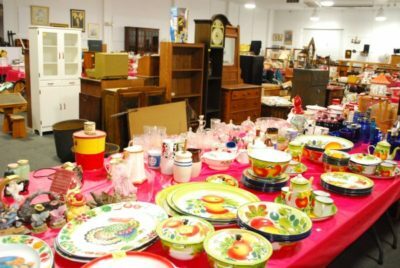 Sunday, July 8 Estate of Richard Everett – Auction #3 – Maryville, TN – THIS IS AN ON LINE ONLY AUCTION!! Lots start closing on Sunday, July 8 at 7:00pm EDT – soft close – Lots will remain open until all bidding activity ceases on that lot. Other lots will continue to close as their count down clock runs out. Only those lots with bidding activity will be extended until activity stops. Pick up/Removal: Monday, July 9 from 8:30am – 5:00pm EDT. If you would like to pay by cash or check, you may do so until 12:00pm (noon) on Monday. After noon, all outstanding invoices will be charged to the credit card on file with Hibid. 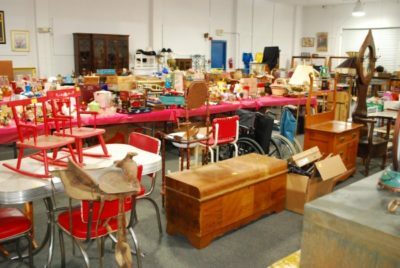 All items are to be picked up at Powell Auction located at 6729 Pleasant Ridge Rd., Knoxville, TN 37921. It is important that we get this auction picked up as quickly as we can. Yes, we have more goodies waiting in the wings for your bids!! We are not offering in house shipping on this auction. If you need items shipped, you can click on the shipping tab associated with this auction to find reccommended shippers that we have worked with in the past or you may find your own. This auction is part of a series of auctions to help settle the estate of Mr. Richard Everett of Maryville, TN. 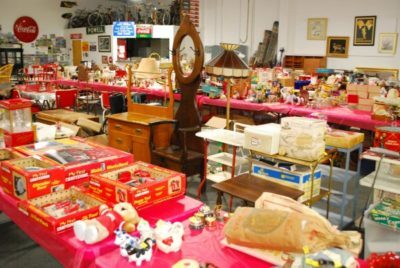 Mr. Everett and his wife were avid collectors, concentrating primarily in mid 20th century collectibles. Do you long for the past? Are sock hops and poodle skirts what you dream of? A time when social media was the local drive in? Then this auction is for you!! We have lots and lots of enamelware, graniteware, Pyrex, Glasbake, kitchen utensils and more from the 1940’s, 50’s and 60’s!!! If the 1970’s are more your thing, you can find dolls, electric football games and more from this era. Are you in love with those cute Campbell Soup kids? Hey, hey, hey, We have got you covered!!! Lots and lots of Campbell Soup Collectibles!!! We have a few advertising pieces that didn’t make it in to the first 2 auctions, so they are in this one. Quilts? We got quilts!! We have the market cornered on the white enamelware with the red band. Lots and lots to choose from!!! 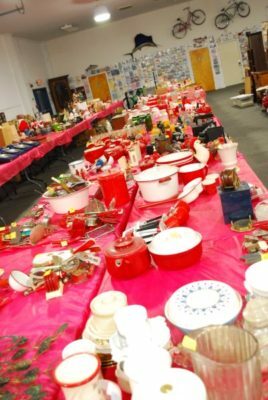 Lots of different and unique items in this enamelware that you just don’t find every day. We have about 545 lots for your bidding pleasure!! Please take your time going through the catalog. There are some larger lots and you want to be sure and check them out to make sure you are seeing it all. If you can’t find something in this auction that you just have to have, well, you just aren’t trying hard enough. Go back and look again until you find something!!! You need to feed that collecting monster!!! We All Do!!!! There will be more auctions coming from the Everett Estate. Keep an eye on our website for future sales. We will have one or more on line auctions from this estate that will be located at the home in Maryville. Please be sure and read all the terms, especially for pick up locations and times.